The digital media world is constant. Marketing could mean anything from content marketing, video, social and paid advertising, guest posting, hosting webinars, eventing - all in the same business for the same brand. It’s not feasible for someone to be everywhere, across everything at the same time, (and shouldn’t be - can I say annual leave isn’t a myth here?). It’s important to find a way to create your “business persona” - the way you would talk, listen and conduct conversations on behalf of your wider branded network. Why is it so essential? It’s obvious, but it’s often overlooked that to a customer, you’re one voice. You should sound consistent and authentic in your communication online - the way you would in person when representing the business. Whether it’s yourself or a teammate, creating a set of brand guidelines will keep a consistent tone and approach to your online channels, which is vital to the fluidity of your business message. To make it easy we’ve given you the rundown of our very own brand guide. The information below will help you set some clear guidelines as a team. This can then be used as your brand guide, allowing it to be picked up by anyone in the business and ensuring consistency in your digital strategy when creating content. Call a meeting, grab a coffee, answer and research the questions below and get busy! The best place to start is with the high level brand philosophy.  The “what, how and why” of your business - a reminder of who you are communicating on behalf of. Try and branch away from your mission statement and pivot it for your customers. The tone, language, and objectives of Microsoft would be VERY different to say Cricket Australia. Keep in mind that this might vary a little pending which channel or marketing platform you are using. Try to include real and approved examples of your own copy or brands and businesses with a tone of voice that you would like to emulate. Equally important is a glossary of words you can and can’t use: for example, don’t use “insurance”, use “protection”. Create a word cloud for these negative words, if it helps you get it clear for everyone. Consider whether your brand would encourage engagement by asking questions, and what those questions look like. The tone of your conversation is outside your control if you haven’t thought through the methods you are using to communicate. If you are lead capturing and using a CRM and automation for email marketing then I.O.U a high 5 and a piece of cake (come visit me in the office and I’ll tee it up!). If you are on top of audience segmentation and lifecycle, then you’re ready to put some rules around emailing and your marketing. There is nothing worse than receiving an email that is definitely not meant for you - marketing or otherwise. The power to prevent this lies within you. Create parameters for what an acceptable email tone is, words to use and not use and the frequency of contact for each persona. Here’s where you talk about high level social engagement and the best times and places across all platforms. It’s a section to discuss who you are online as a business. Be sure to include quirks, charity endeavours, interests, and stereotypes you are happy to promote. Be sure to include a link to your style guide here so everyone can access the colour palette, fonts and graphic types you’d expect to see for any creative aspects of posting. Make it easy for everyone by providing a cheat sheet for each persona and their social presence IRL (in real life). Screen shot your personas actual social profiles from the platforms you are using and what sort of influencers they follow and content they engage with. You'll find this social research very insightful - especially when aligning with other complementary brands that your persona is already engaging with. If your business is on Facebook, LinkedIn and Instagram, you will know that it’s a very different landscape. People expect a different tone and experience on each platform, and it’s important to consider how your business fits into that environment. Ensure you have a page for each platform for they are unique unto themselves. #WhatYouHadForBreakfast has too many characters, and is unlikely to take off. Use a service like TagBoard or RiteTag to listen in on active conversations around those hashtags and ensure you’re apart of the conversations you want to be. We don’t want another #Susanalbumparty on our hands. ALWAYS USE CAMEL CASE. Create a list of industry allies - who do you follow or align with on values? Whose message are you willing to share and engage with? Everyone’s business can safely fangirl somewhere online. Having this list as a resource is invaluable for anyone looking for examples, or needing assistance with language when knowing what to post. It’s inevitable that the bigger you are, the more trolls you’ll get. Give examples of when to react, and as importantly, when to leave negative comments alone. Template responses can sometimes come off as cheesy, though it’s a good time to have a backup plan for anyone who needs to communicate on behalf of the business. Create a template that can easily be shifted into authentic and personalised language when responding to comments online. The tone should generally be professional, empathetic and polite. What would make aligning your communication easy for your team? It’s important to consider any graphics, fonts, colour or other visual aspects for your brand are supported through the same means. It can be as simple as creating a list of links to examples for quick reference within this document. It’s almost impossible to work alone in the digital space, whether you are interacting with a team of capable freelancers, sharing the load in an in-house marketing team, or outsourcing to an agency. When creating content for your business it doesn’t matter to the customer who you are, except that you all feel the same through their experience. Now you are fully organised and documented on the brand tone of voice front, it’s time to get busy creating that content! Give your personas what they want, how they want and plan for where they want it using an editorial calendar. 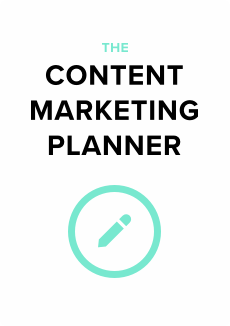 The content canvas is the easiest planning tool to use for your content strategy. Harrie is Co Founder of The Co. She's a people person on a mission to build the best damn SaaS Marketing team in Australia, working with marketing campaigns for SaaS offerings looking for something a little more 'human'. Harrie spends her downtime highlighting quotes on Medium and interrupting Jonno. Get notified in your inbox when Harrie posts his next golden nugget!